Let your imagination run riot in a magnificent moated castle. 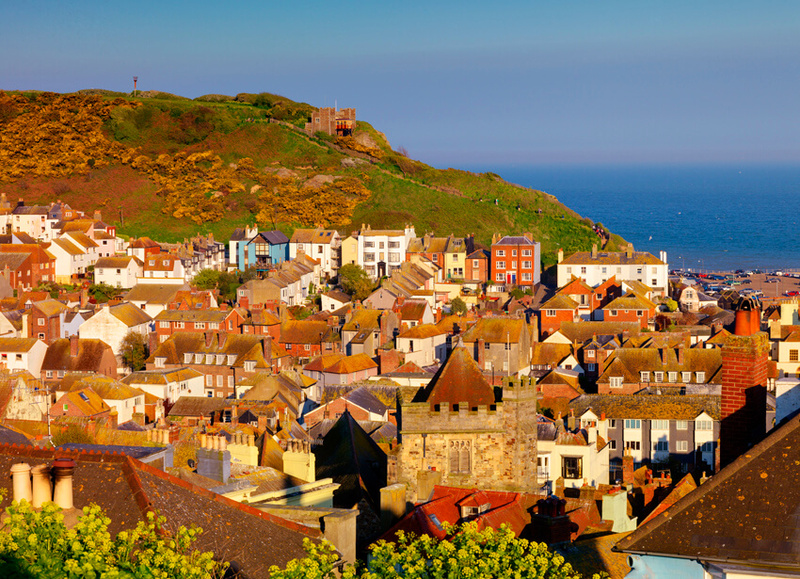 Explore the cobbled streets of a charming medieval town. And visit the site of the most famous battle in all of English history. Welcome to 1066 Country! 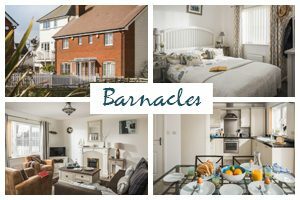 Located in a beautiful coastal pocket of East Sussex, this iconic part of the country isn’t just for history buffs. There’s plenty of family attractions to enjoy here, too. Read on for our top recommendations. Start at the place where it all began! Take a trip to Battle Abbey and step onto the very same battlefield where the famous Battle of Hastings took place back in 1066. Close your eyes and imagine the scene as hundreds of Saxons and Normans clashed in a conflict that changed the course of English history. 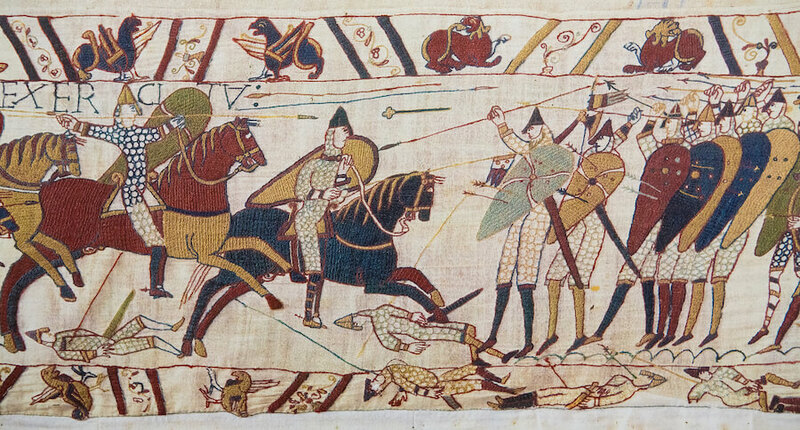 You can also watch this epic battle brought vividly back to life during the annual Battle of Hastings re-enactment, held between Saturday 12th – Sunday 13th October. Throughout the year, Battle Abbey also hosts numerous events and activities. The hands-on with history weekend is a great event for families, with everything from junior jousting and storytelling sessions, to sessions on mastering medieval weapons and courtly manners. 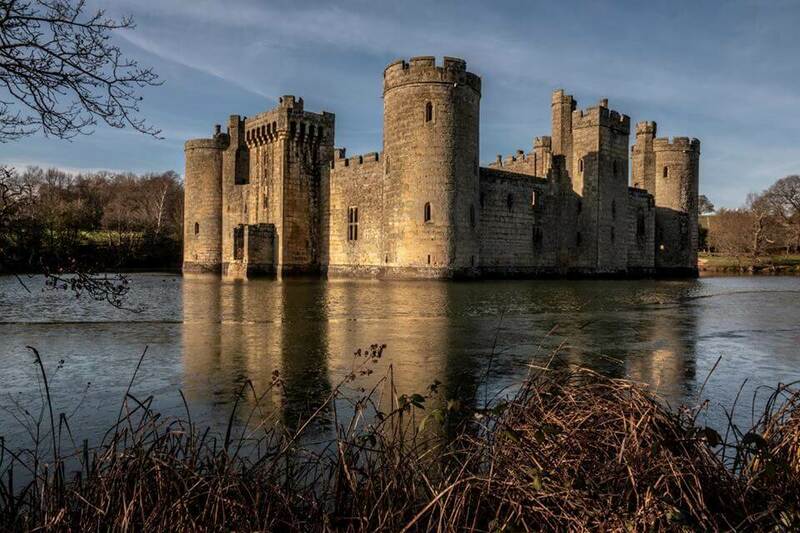 Carry on your historic 1066 Country adventure with a trip to the magnificent Bodiam Castle. Set in the heart of the East Sussex countryside, this 14th-century moated castle makes it easy to imagine a bygone era of fair maidens and dashing knights. Pass through the portcullis and step inside a crumbling interior, complete with spiral staircases that lead up to imposing battlements. From the top, gaze across a sweeping landscape of the surrounding countryside. Dive deeper into the castle’s history with free guided tours. You can also enjoy ancient games, weekend archery tuition, and medieval-inspired story sessions during the school holidays. A visit to medieval Rye is a must on any holiday to 1066 Country. 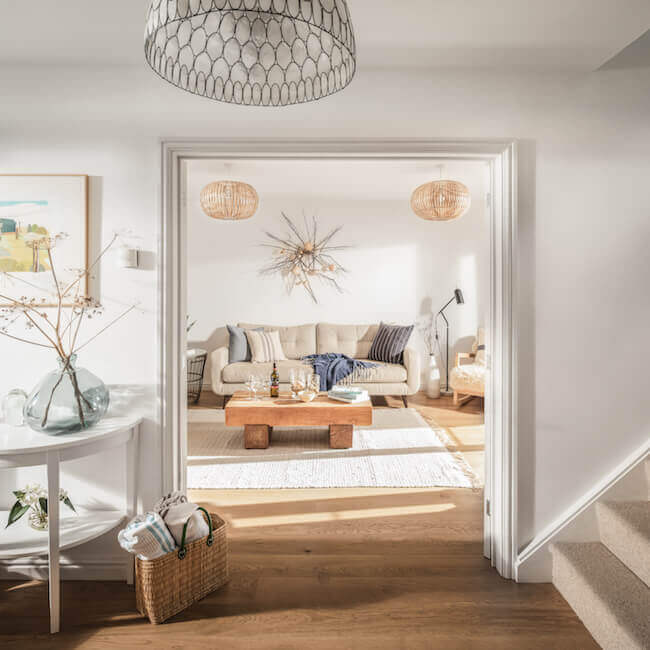 This thriving market town will transport you back in time as you explore its maze of cobbled streets and narrow passages. Start your day with a trip to the 12th-century Norman church of St Mary’s. 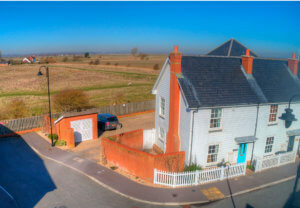 Head to the summit for wonderful views across Rye Harbour Nature Reserve and the hilltop town of Winchelsea. Next, visit the 14th-century Ypres Tower. Built to defend the town against attacks from across the channel, the tower is the second oldest building in Rye. It has served as a fort, private dwelling, prison and court hall throughout the ages. Save time to dip into Rye’s quaint antique shops, independent art galleries, and speciality stores. Finish up with a pint in the famous Mermaid Inn. Originally built in 1156, this former smugglers’ haven was once the haunt of the notorious Hawkhurst Gang. 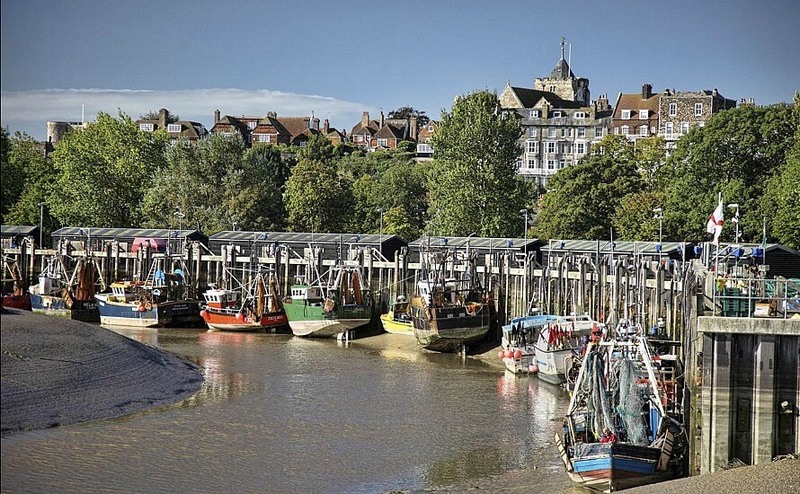 Be sure to add a trip to history-filled Hastings on your 1066 Country trip. Start with a stroll around the medieval Old Town, home to wooden-fronted cottages and half-timbered pubs. They’re all linked together by narrow “twittens” (passageways). Soak up the timeless atmosphere as you stroll among centuries-old churches, atmospheric pubs, local museums, and charming antique shops. The Old Town also has a bohemian side with plenty of cafés, vintage stores, restaurants and boutique shops that warrant further exploration. 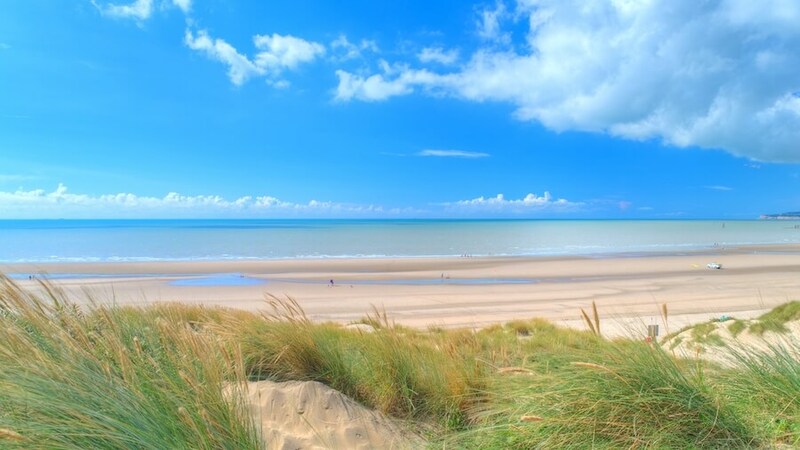 After visiting an array of historic sights, nothing beats sprawling out on the golden shores of Camber Sands. 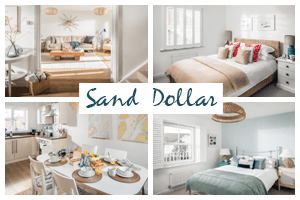 The sweeping beachfront feels far removed from the region’s popular tourist attractions, and it’s a gorgeous setting for relaxing coastal strolls in the fresh sea air. In the warmer months, get stuck into a host of beachside activities, including kitesurfing, windsurfing, swimming…and building epic sandcastles inspired by your 1066 Country adventures! 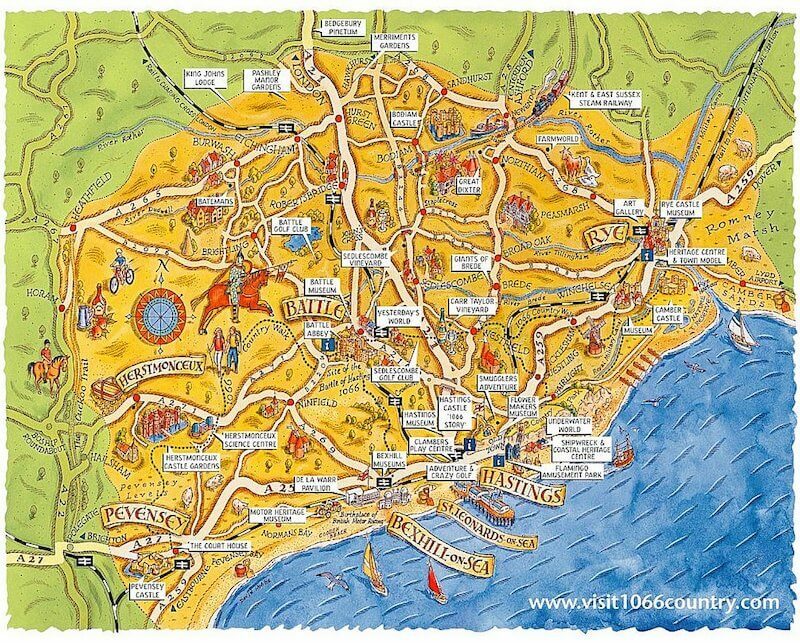 Planning on a visit to the iconic 1066 Country? 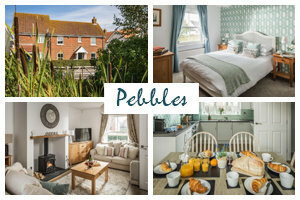 Our cosy cottages offer the ultimate home base to explore the region. Book your stay with us today.